New Delhi, January 31, 2017: Experienced a war like a solider? With its new series TAKING FIRE - LIVE FROM AFGANISTAN, Discovery will bring viewers into the hearts and minds of soldiers, a captivating experience like nothing ever seen on film. For the first-time ever, TAKING FIRE - LIVE FROM AFGANISTAN provides viewers with an inside-look at the Afghanistan War from the perspective of four members of the 101st Airborne deployed to Combat Outpost Michigan. The series uses footage taken directly from the soldiers’ helmet and body cameras. TAKING FIRE - LIVE FROM AFGANISTAN is the story of a band of brothers deployed to defend one of the United States’ farthest flung outposts at the gateway to one of the deadliest places on earth: the mouth of the Taliban-held Korengal Valley in Northeast Afghanistan. Told by the men who fought on the frontlines themselves and illustrated with real combat footage shot on helmet cameras and handy cams, this material never-before-seen on television takes viewers along for a visceral experience not witnessed in news reports or traditional documentary portrayals of war. Discovery’s five-part series TAKING FIRE - LIVE FROM AFGANISTAN will premiere Thursday, February 2 at 10 PM and will air one episode per week. It is not simply a series of war stories, but a character-driven serial, showing the impact of war on a handful of men during the course of their year on the frontlines. Presented through the eyes of four American soldiers, Kyle Boucher, J.J. McCool, Kyle Petry and Ken Shriver, their unmediated rushes reveal personal struggles with the dilemmas, confusions, joys and sorrows of war. The men leave the United States seeking adventure, inspired to serve their country. What they experience in Afghanistan changes them forever. In flashes forward to their lives six years on, the men reflect on their year in the Korengal. Now, with their partners who waited anxiously for the safe return of their sweethearts, these soldiers reunite. For some, it's their chance to lay old ghosts to rest. 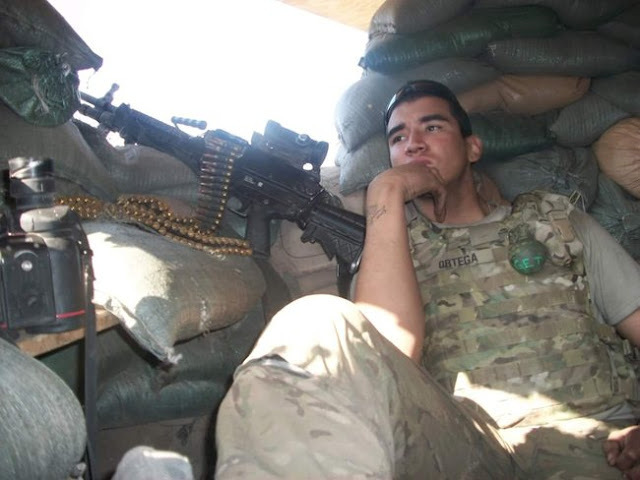 Kyle Boucher – Kyle was part of Delta Company's assault team and a truck gunner while out on patrol. He worked closely with the ANA and learned some Pashtun. He has left the army and is now a Firefighter. 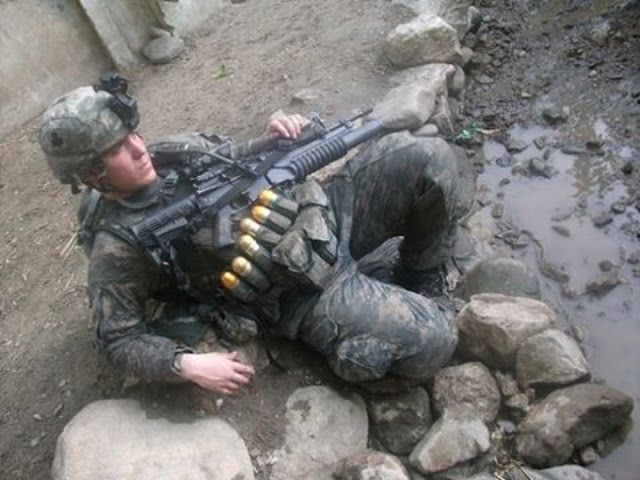 J.J. McCool- He spent 6 and half years in the military and was deployed to Pech River Valley, Afghanistan. He has his own website and according to his bio, he dropped out of college in his second year and then moved to Las Vegas to build a digital marketing organization. He then went into the Army Special Forces, but a leg injury made him chance his military career path. 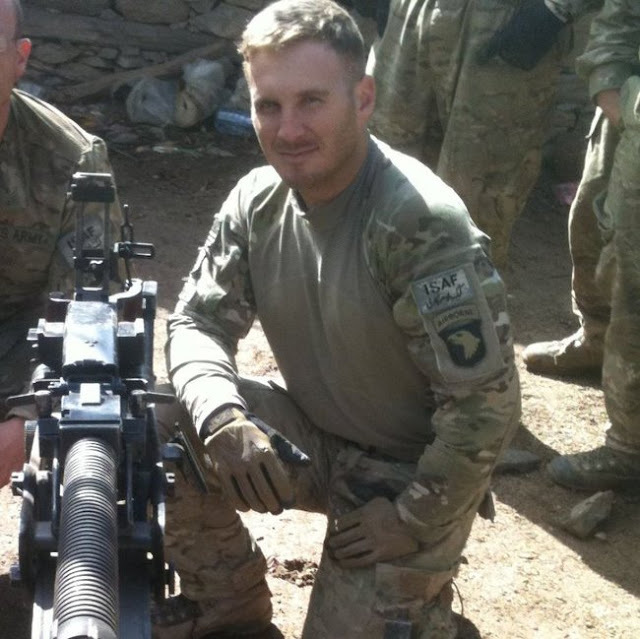 Kyle Petry- Petry has served in two tours of Iraq before serving in Afghanistan and was known as a great squad leader, he is now retired. Ken Shriver- Sgt. 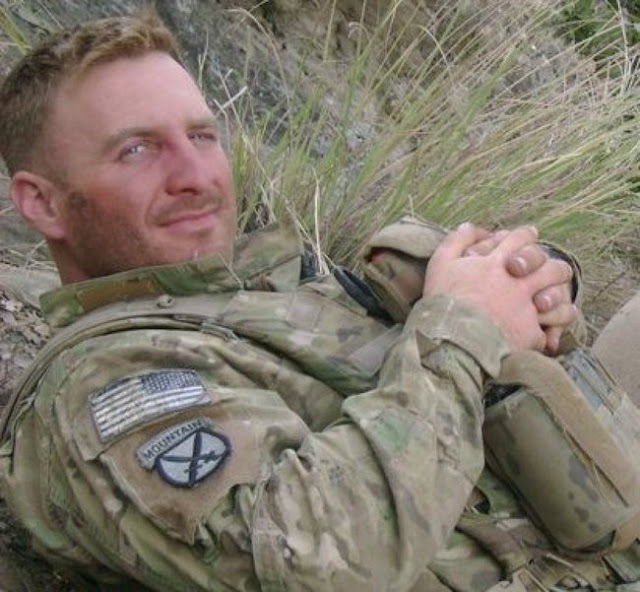 first class Shriver served in army for 15 years before featuring in ‘Taking Fire’. His father, brother and grandfathers have also served in the military. He has done two tours in Iraq, one in Kuwait and one in Qatar and he hasn’t retired yet.